All Approved Used vehicles purchased from a Saab dealership come with an industry-leading guarantee for a minimum of 12 months or 15,000 miles on vehicles up to 10 years or 100,000 miles, plus a comprehensive multi-point mechanical check and 12 months Saab AA Assistance. When it comes to purchasing a used vehicle, Saab claimed that superior service and quality are a top priority. The brand says that all customers can be confident that its highly skilled team of technicians have the experience and expertise to service Saab cars and keep them in the best condition possible, using genuine Saab parts that are covered by a two-year manufacturer’s warranty. Starting 11th July and available until 30th September 2011, the two years’ free servicing offer includes parts, labour and VAT. 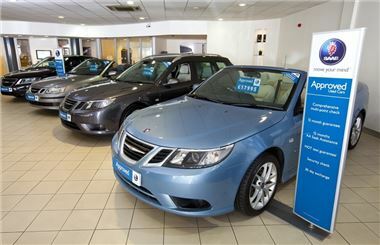 To find Approved Used Saab vehicles available, go online and try Saab’s Used Car Locator at www.saabapproved.co.uk.